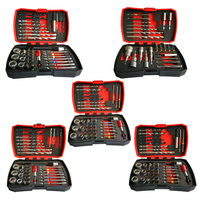 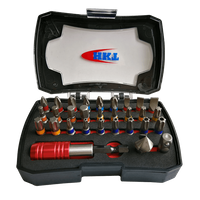 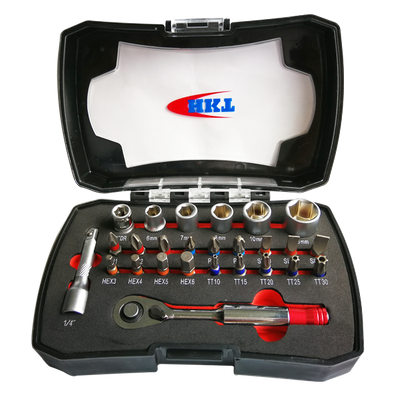 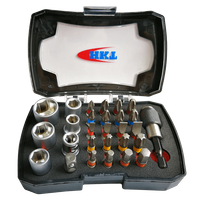 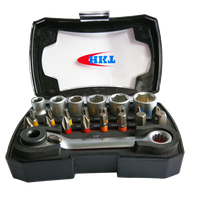 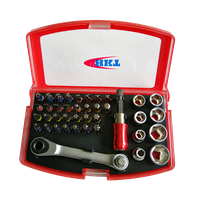 26Pcs Bits Dual Ratchet Wrench Set - Buy bits set, bits set with sockets, ratchet wrench Product on Huikang Tools Co. Ltd.
• The set includes usual sizes 1/4" sockets and 1/4" bits. 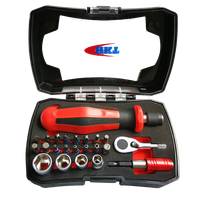 • With dual purpose ratchet wrench for both socket and bits using. 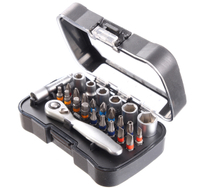 • Packed in unique patented plastic box with EVA inlay. 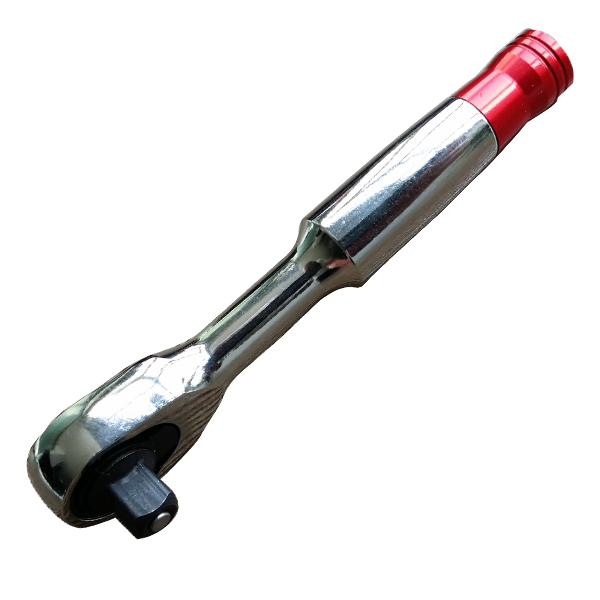 There is Euro hanging clip on backside. 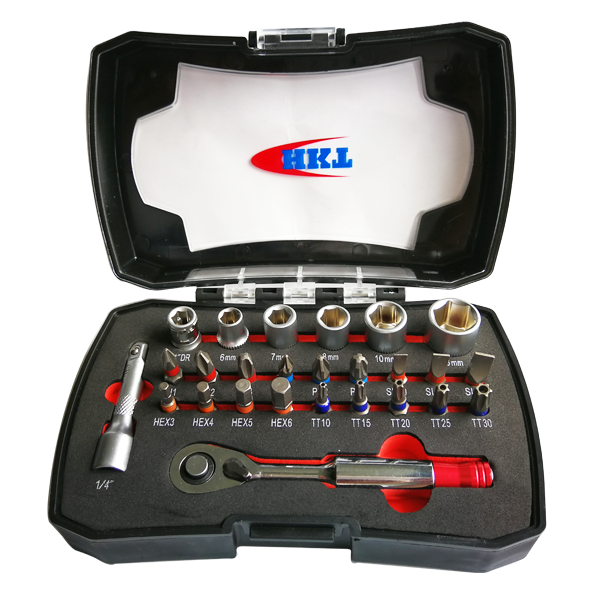 - 18pcs 25mm bits: 1/4" C6.3. 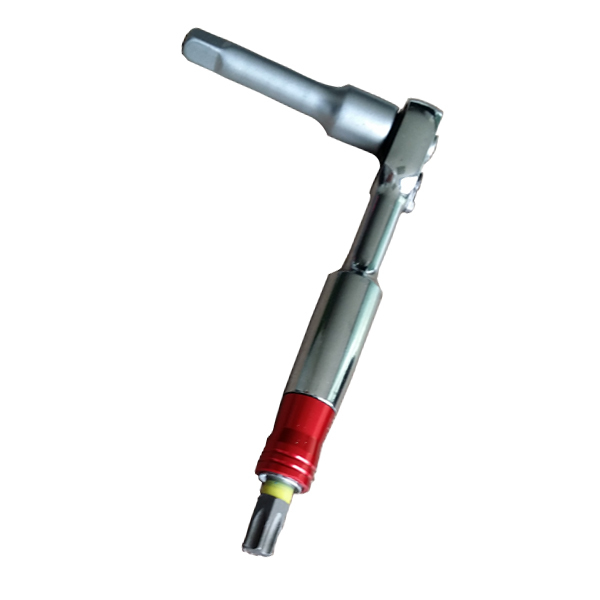 S2. 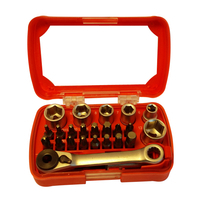 - 1pc 100mm dual purpose ratchet wrench: 72 fine teeth.